Whether you are a canine massage therapist, animal physical therapist, dog trainer, canine agility trainer or a canine caretaker you will want to know more about how the dog moves when they are healthy and how to determine when their gait and posture are out of balance. Structure and function go hand in hand so knowing the desired conformation of the dog you are examining is very important. This can be challenging when the dog you are examining is a mix of two or more breeds. When looking at a mixed breed dog we will have understand what the different breeds were bred for. What the dog breed was bred for in terms of desired working functions and how their structure lends itself to the desired function is important for us to examine. We can find the desired conformation for each breed of animal by doing a thorough online search of the breed registries and contacting reputable breeders when we can’t seem to find the information we need online. An classic example of what we are looking for is the English Bull Dog. An online search for this dogs conformation will bring us to this website that clearly shows the desired conformation of the English Bull Dog.We might not be so lucky when we dog a search for breed standards and breed conformation on other dogs though. Dog breed standards refers to the description of the traits and movement of the ideal specimen of a breed, generally based on form and function. Breed conformation refers to the structure and physical characteristics of a dog. What we will generally find is a written list of the breed standards and breed conformation on the AKC website or we might end up looking at the Canadian Kennel Club site and end up trying to figure out which of the seven groups this dog belongs to and then looking at the written descriptions. Neither of the written breed standards on either of these sites has pictures integrated into the text to help the lay person see clearly what the standard actually looks like. Personally as a professional massage therapist I want more then written guidelines, I would like to see more pictures and videos. A lay person might not even understand the terminology used and could use even more information. Doing a search of the various dog breed clubs will not help us much either since most of them lead back to on of the various country centered breed clubs that are nearly as precise and information as the English Bull Dog website. The various clubs could certainly learn from the English Bull Dog website. If we look look at the Wikipedia page for a breed at least we get a page which is more easily navigated and laid out clearly. The Standard Poodle Wikipedia page is a good example. Another place we might want to look is on Youtube. A search on conformation of the German Shepard lead me to a video that would be helpful to the lay person or therapist. 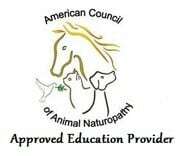 Where else can we look for up to date comprehensive information on the conformation and structure of the dog? 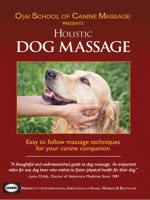 A search on dogwise.com in the anatomy and gait section of the website leads us to several very good books on the conformation and gait of the dog and a few great videos of the canine gaiting patterns. I require my canine massage students to watch Dog Steps and I personally have watched the video over thirty times with my animal massage classes and I get something new out of this DVD every time I watch it. If there is one resource that I would recommend that every professional and layperson get to learn more about the dogs conformation and gait it would be this DVD. Several of he books that are listed above are ebook versions so you can get going right away if you want to learn more about this subject. In the next blog we will dig deeper into how conformation of the dog affects the gait and we will learn how to chart and keep records of what we see for future reference. For professionals we will learn how to share this information with other allied professional health care practitioners and with the dogs caretaker.